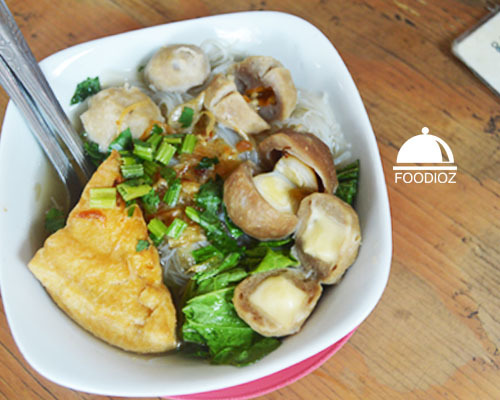 Another Indonesian classic spot in Tanjung Duren is Bakso 2 Nyonya. [It is located same as Nasi Kucing Juara and Sop Sapi Gosyen. They actually share same space at there. 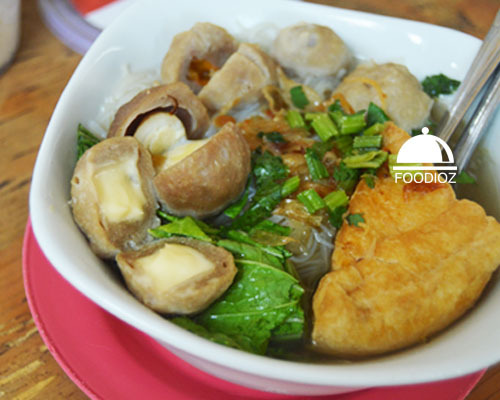 Bakso 2 Nyonya, as the name, they are selling an Indonesian Meatballs Soup. This should be classic dish that most everyones have eaten before. 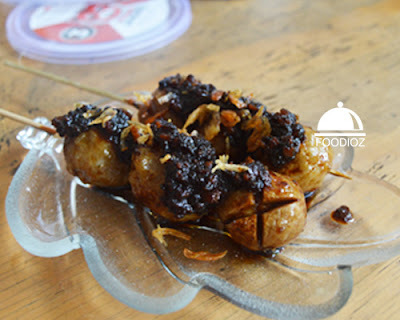 But what is different here, Bakso 2 Nyonya is serve meatballs with various of filling. in basic, it is just same as normally meatball soup we may found in town, But in here meatball has few kind of fillings like chili, quail egg and melted cheese. It is unique! Soup has been really tasty and perfect with white noodles as well. Another dish is Roasted Meatballs. It is same but in different way of cook. 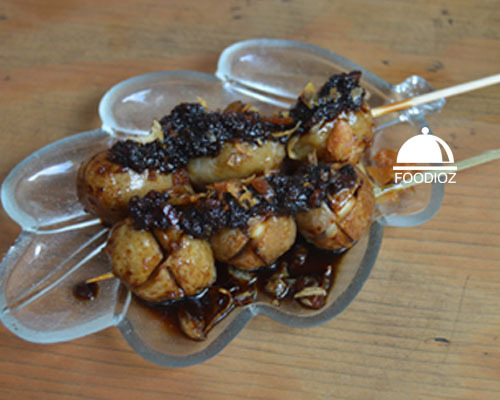 It served on skewers and poured with chili soysauce. For your note, be carefull some of meatballs are consisted of chili cut. And some others filled with melted cheese.